I’ve always been an avid reader of books. Having owned a business for the vast majority of my professional life, I used books as my “mentors” to see and learn how others were attacking and conquering business problems. 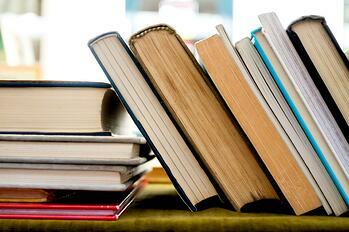 At my peak, I averaged more than one business book per week. These days, the volume of books I read is certainly down while the time I spend reading blog posts and white papers is up. I do still find great value in consuming a strong, insightful book. With summer winding down and many taking that last bit of vacation time, I thought it would be a good time to share the top business books that I’ve read. All of these books are as valuable today as they were when they first came out. If you haven’t read one of these, I highly encourage you pick it up, consume it and apply the wisdom shared. I read this book in 1992 just after I started my second business (and first of my professional life). In so many ways, this book is responsible for everything I’ve done over the last 23 years. 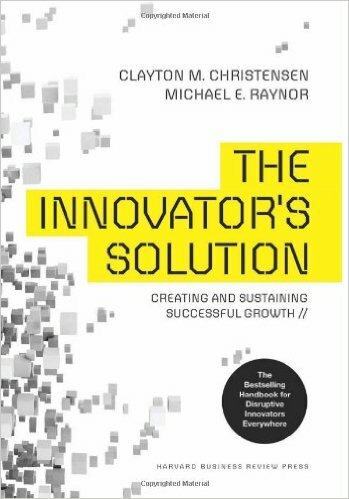 Geoffrey Moore introduced me to the difference between continuous and discontinuous innovation; and the effective playbook for each. While the book has certainly become a mainstream success, I find that companies and business leaders continue to make the fundamental mistakes that Crossing The Chasm addresses. If I had to forget everything I’ve learned from a book, with the exception of retaining the knowledge of one, Crossing The Chasm would be the one I pick (and there would not be a close second). Its findings are based in data and research, not anecdotes. 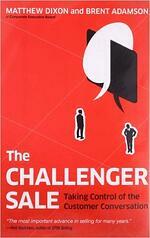 It correctly challenges the conventional wisdom of how sales success is achieved. It provides insights into more than selling. 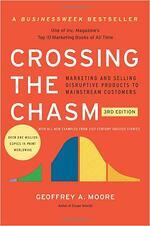 Smart marketers are reading and taking advantage of the findings in this book. Pat Lencioni is my generation’s Ken Blanchard (author of The One-Minute Manager). A master of the parable to teach business lessons, Lencioni has written many books that are highly insightful. 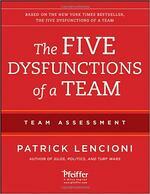 My personal favorite is The Five Dysfunctions of a Team. Having been a part of many teams, I’ve seen firsthand the power of a high-performing one, and the frustration of a mediocre one. Five Dysfunctions does an incredible job of simply identifying the causes of medicority while also providing actionable, measurable actions to take to fix it. It makes my list because I find myself referencing it with a client, prospect or team member on at least a monthly basis. By the way, I’m clearly not the only one who saw the business implications of McKee’s genius. He now does workshops for business storytellers as well as Hollywood ones. 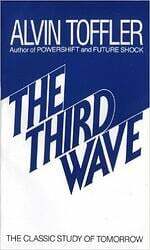 Alvin Toffler is credited with coining the term The Information Age in his book The Third Wave. Toffler was the first to identify the new challenges and opportunities as the world moved from a manufacturing based world to one based on “bits and bytes.” While Crossing The Chasm formed that strategic base of my professional work, The Third Wave was the basis of my philosophy. Toffler updated his findings in the book Revolutionary Wealth, and identified what I believe is the biggest challenge we face today – the de-synchronization of our communication devices and institutions. If you’re wondering why the world doesn’t seem to make a lot of sense these days, these books will help you understand. This set of books barely edged out another great book The Lexus and The Olive Tree (updated in The World is Flat) by Thomas Friedman. Clayton Christianson is often called the father of disruptive offerings. I learned of his teachings and strategies when I read The Innovators Solution (though I have to admit that his first book The Innovators Dilemma) is his best. If you’ve got a great idea that is truly different and you’re looking to make something big from it, be sure you’re following the rules he shares in these books. And if you wonder why great product/service ideas fail (and how to avoid that fate) these books answer those questions as well. This is the second of my non-business business books. 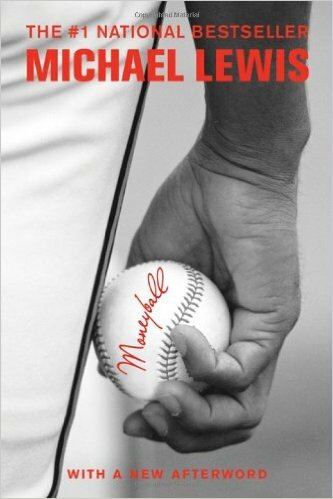 Moneyball tells the story of the Oakland A’s and Billy Beane. 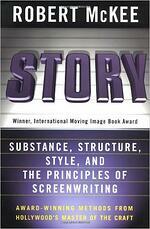 Many more people are aware of the story as a result of Brad Pitt and the movie he made based upon the book. While I enjoyed the movie, don’t feel like you understand the book because of the movie. The numbers, metrics and data that really matter (and few people watch because they’re not obvious or easy to track). The numbers, metrics and data that don’t matter (and lots of people watch because they’re obvious and easy to track). If you’re looking to develop effective key performance indicators, be sure to apply the principles of Moneyball. When I first started reading business books, I loved positive thinking books. As I read more of them and as I grew, I found that very few of them were actually useful. Platitudes are great and can make you feel better, but they don’t really teach you anything. That’s why I absolutely love The Art of Possibility. Author Benjamin Zander is also the conductor of The Boston Symphony. He shares principles and insights that not only support a positive mental attitude, but withstand the tests and tribulations of life. I find myself going back to his teachings whenever I’m going through serious change (I gave myself an “A” before starting Imagine) or when dealing with tough times. 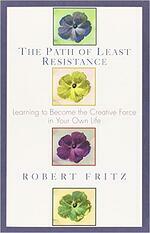 If you ever wanted to know why people do what they do or why the vast majority of efforts to change fail, you’ll want to read The Path of Least Resistance. Robert Frist introduces the concepts of structural tension and its impact on people and organizations. This is the last non-business book to make my list. There are many books and stories on the amazing South Pole expedition of Sir Earnest Shackleton. My favorite is the one by Alfred Lansing. It’s an amazing story and an even more amazing metaphor. I read the book during the market crash of 2000. Every day was greeted with the false news that the worst was over (it wasn’t) or the feeling that the crash would never end (it did). Learning about the experiences of Shackleton’s group helped me realize that my situation was not all that bad (all things considered) and that the crazy psychological effects of disruptive and difficult times can be managed and overcome. 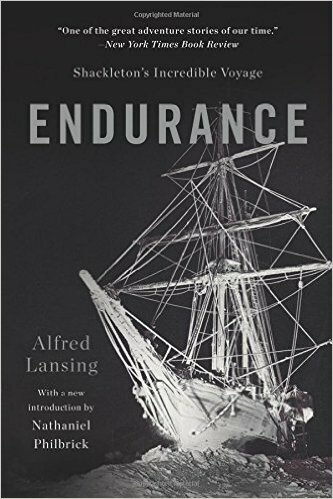 If you’re in the midst of such a time, pick up Endurance and realize that you’re not alone. I hope that at least one of these books is one that you haven’t read and you pick up a copy. If you’re so inclined, let me know your must-read business book.